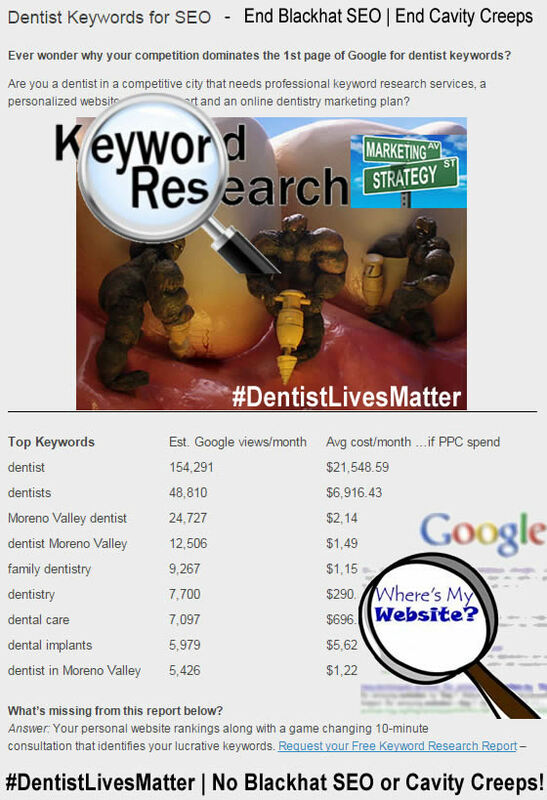 Are you a dentist or part of the staff that manages a digital marketing dentistry campaign in a competitive city and wonder why the competition dominates the first page of Google? Are you fortifying yourself from Black Hat SEO? Then, it’s time to take it to the competition and the cavity creeps and combat the injustice that threatens your practice. What’s missing from these memes that help protect your dental practice? 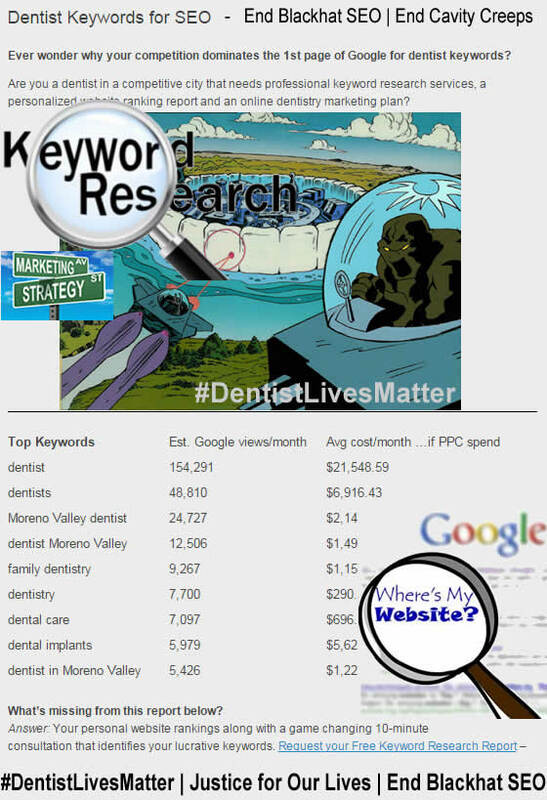 Answer: Customized Keyword Research and Analysis – See Original Dentist SEO Research! Creepy as it sounds, there are hundreds of dentist keyword phrases that could bring exclusive traffic to your website that your competition is hoping you never recognize. Do you know which keywords they are and do you have a plan to dominate the competition? – Protect yourself and see the original research! 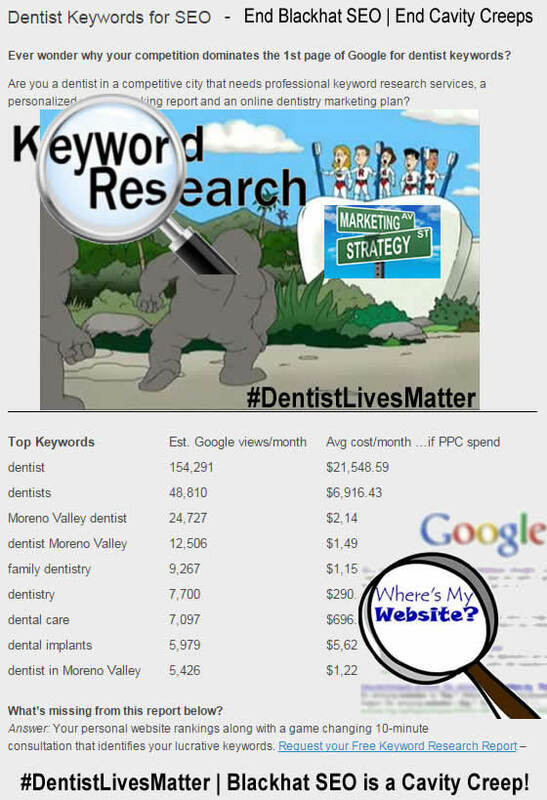 Keyword phrase research & analysis is a crucial part of a web strategy and so are these memes for dentists to combat the competition.